Psalm 91 He who lives in the safe place of the Most High will be in the shadow of the All-powerful. 2 I will say to the Lord, “You are my safe and strong place, my God, in Whom I trust.” 3 For it is He Who takes you away from the trap, and from the killing sickness. 4 He will cover you with His wings. 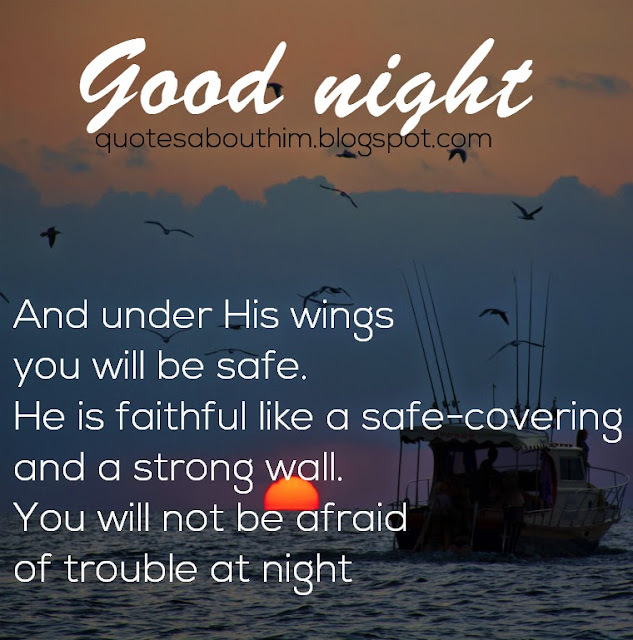 And under His wings you will be safe. He is faithful like a safe-covering and a strong wall. 5 You will not be afraid of trouble at night, or of the arrow that flies by day. 6 You will not be afraid of the sickness that walks in darkness, or of the trouble that destroys at noon.